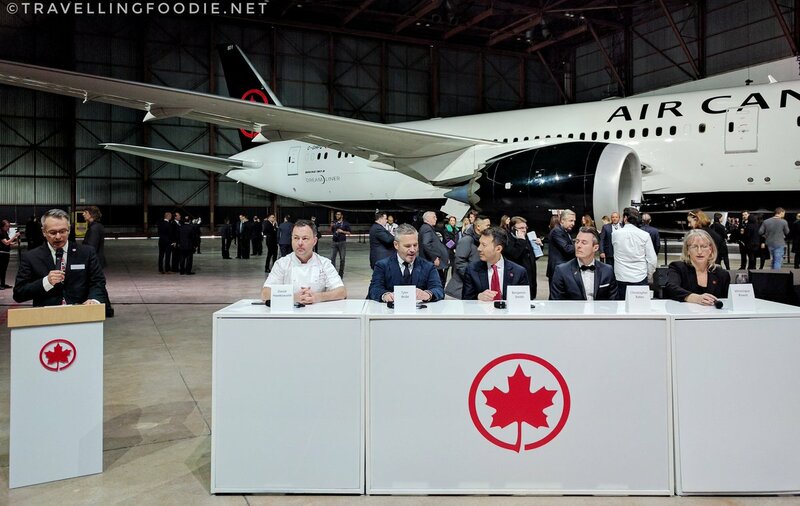 Air Canada unveiled its new livery at three events held simultaneously across Canada in Toronto, Montreal and Vancouver on February 9, 2017. Customers and employees got to see the bold new livery inspired by Canada for its entire fleet, new employee uniforms and a taste of some of the new onboard menu offerings. Before the event started, guests were treated to a sampling of some of the new onboard menu choices that will be available for Air Canada customers starting this April, including Lavazza premium Italian coffee that becomes the airline’s new coffee offering among its complimentary beverage selections for all customers, and Toronto-based Dufflet Pastries’ pumpkin spice loaf which will be featured on flights to Europe in Premium Economy and Economy Class cabins. Guests also sampled a selection of Quebec fine cheeses including Oka, camembert and cheddar, alongside freshly baked bread from Quebec artisanal bakery Première Moisson, paired with a Vineland Estates Winery white wine from Ontario’s Niagara region and Les Athlètes du Vin, a French Pinot Noir, both selected by sommelier Véronique Rivest, which will debut for Air Canada’s International Business Class customers in April. The event began with remarks by Benjamin Smith, President of Passenger Airlines. 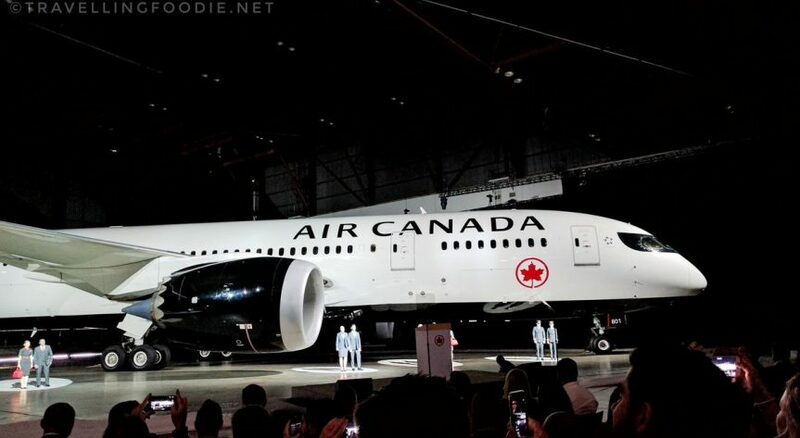 Following his remarks, a short video presentation was shown about the inspiration for Air Canada’s new livery, then a curtain reveal of a 787 aircraft with the new livery as well as employees wearing the new uniform. “Air Canada’s new livery signals a pivotal inflection point in our 80-year history” said Benjamin Smith. Air Canada’s fleet of 300 mainline and regional aircraft are being repainted in bold black and white design that highlights its iconic red maple leaf encircled ensign, or “rondelle”, that returns to the tail of the flag carrier’s fleet after an absence of 24 years. The new livery reflects Canada’s vastness and contrasting seasons, with references to its wildlife and First Nations heritage. Following the big reveal, there was a moderated media Q&A Session with Benjamin Smith along with special guests Tyler Brûlé whose design firm Winkreative designed the new fleet livery, and Canadian designer Christopher Bates who designed the new uniforms, together with the airline’s award-winning culinary partner, British Columbia-based chef David Hawksworth of Hawksworth Restaurant in Vancouver, and world renowned Quebec-based sommelier, Véronique Rivest, both actively involved in developing Air Canada’s premium menu choices. Air Canada’s selection of Signature dishes, created by Chef Hawksworth, showcases the finest Canadian ingredients from across the country available since it was launched in October 2015 for Air Canada’s International Business Class customers. Air Canada’s new sommelier, Véronique Rivest, will expertly pair the dishes and develop Air Canada’s wine program with a selection of Canadian, old and new world wine that are changed seasonally to highlight the best wines to be enjoyed at 30,000 feet. Q: For chef David Hawksworth and sommelier Véronique Rivest: If you can just expand a little bit on what we can expect on the menu offerings. What do you think of Air Canada’s new livery? 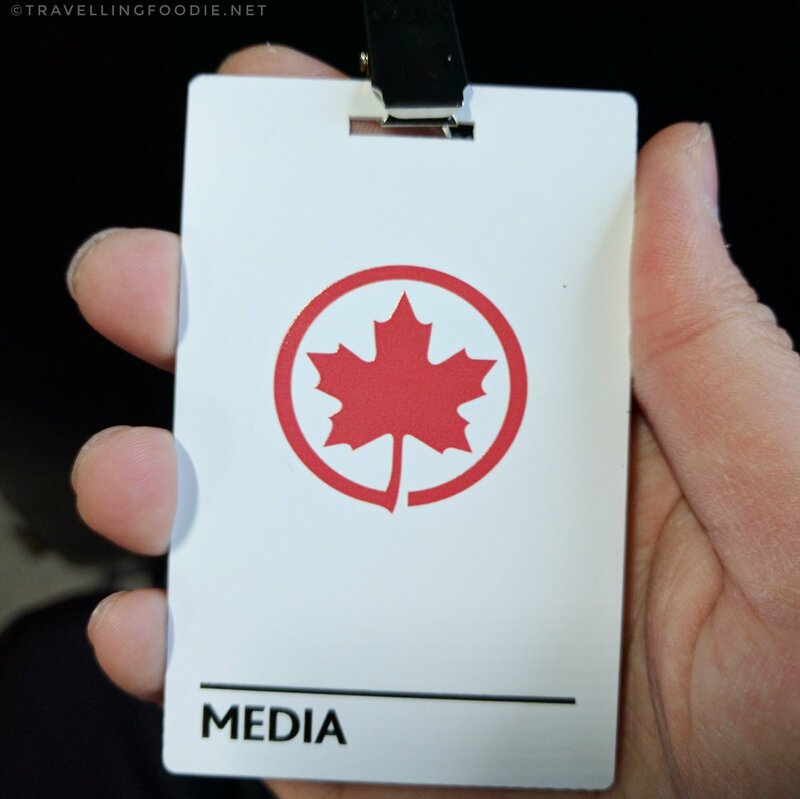 Posted on February 14, 2017 by Travelling FoodiePosted in Canada, Food, Mississauga, Ontario, Toronto, TravelTagged events, news, people, transportation. Mmmm I really want a Pumpkin spice loaf! 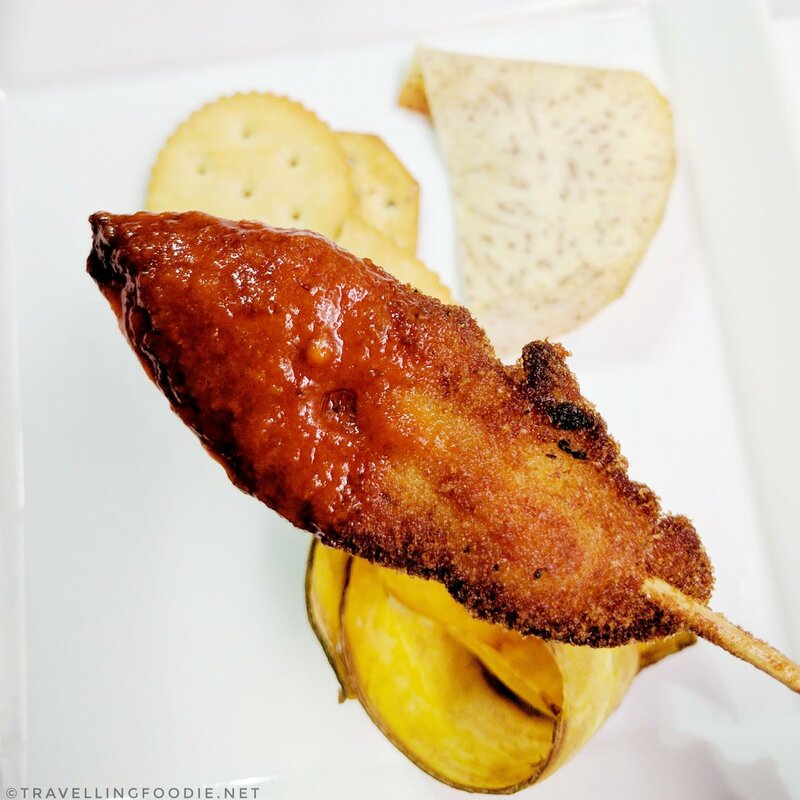 😀 I am following your blog now because I see you a lot in the Toronto Tag Travelling foodie and to be honest I am getting really in to food content online.